Our whole range of Bug Off products, presented in a jute gift bag; perfect for someone going on holiday, or who enjoys the great outdoors. 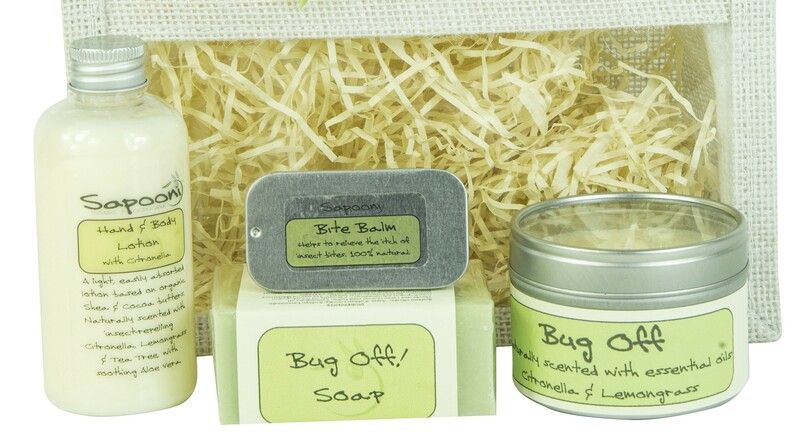 Our whole range of Bug Off products; perfect for someone going on holiday, or who enjoys the great outdoors. 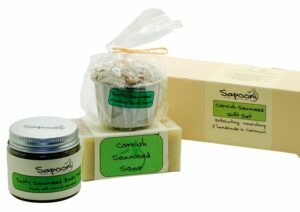 Presented in a natural Jute gift bag, with a hand-tied ribbon and gift tag. 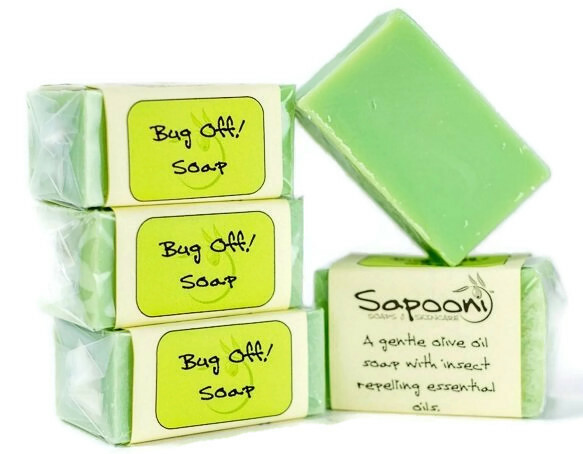 Bug Off Soap (100g bar); with Citronella, Lemongrass and Tea Tree. 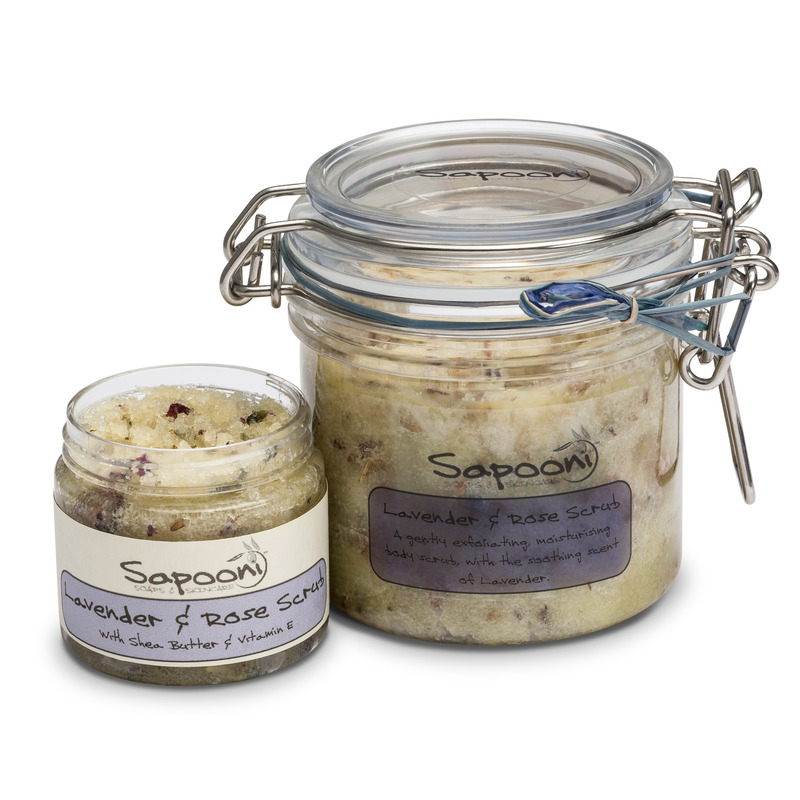 Antiseptic and naturally insect repelling, use in the shower for gentle all-over protection. 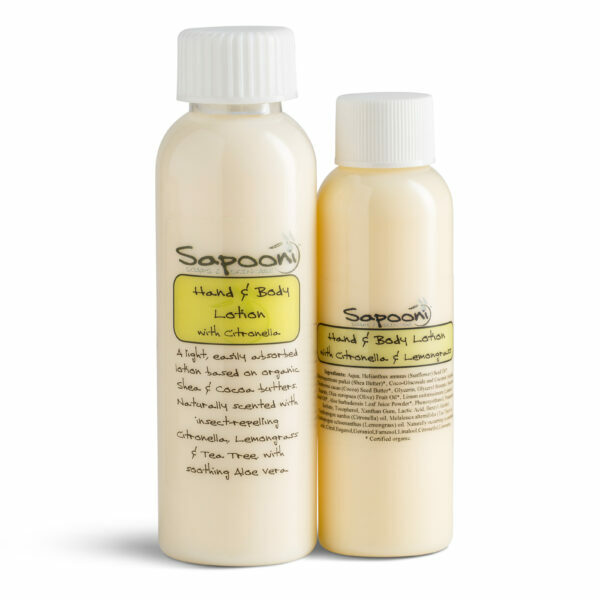 Body Lotion with Citronella & Lemongrass (50ml bottle); Contains natural insect repellents, to help ward off biting insects like mosquitoes, horse flies and no-see-ums. Keep a bottle in your bag & use on exposed skin before going walking or out for the evening. 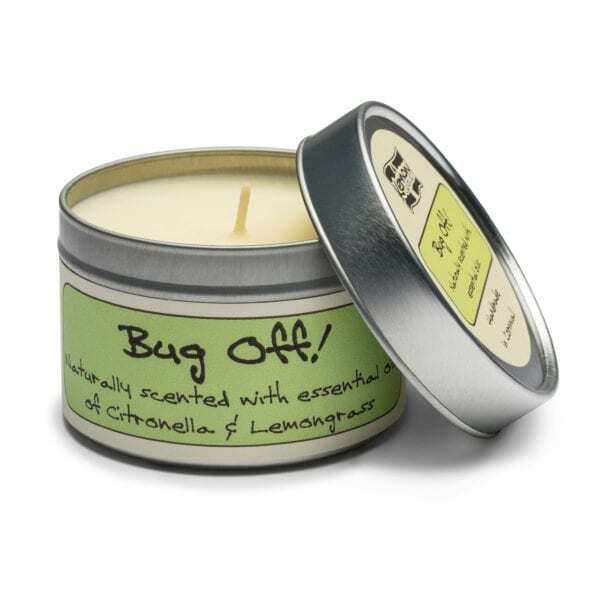 Bug Off Candle (20hr burn time); With Citronella and Lemongrass, to help deter mossies and horseflies. 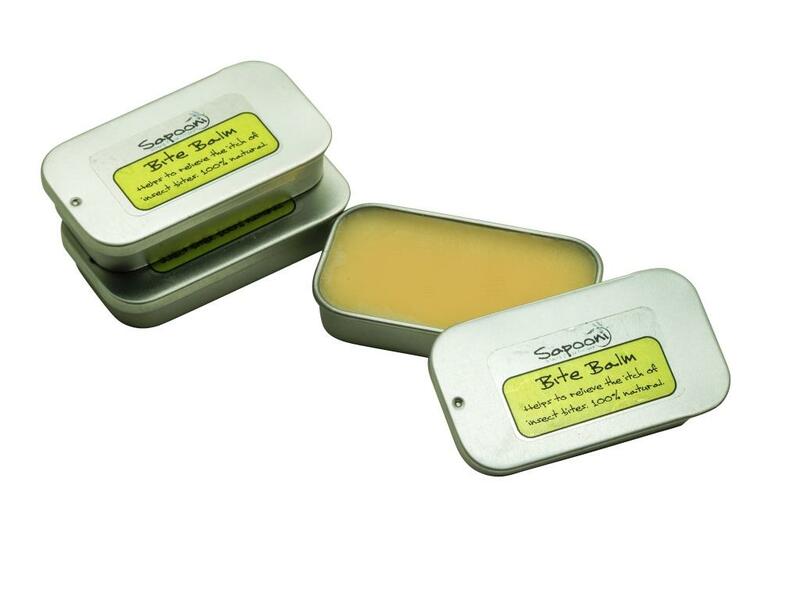 Calm Balm*(12g tin); Soothing, calming balm, to help ease itchy, irritated skin from rashes, insect bites & dry skin patches. 100% natural and Vegan-friendly. 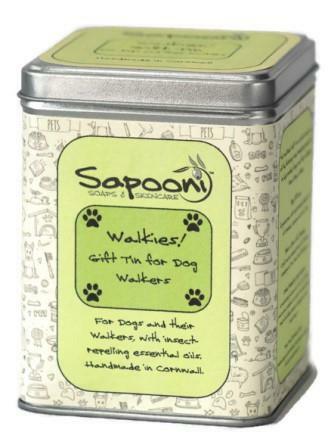 *This has replaced the 12g tin of After Bite Balm shown in the photo. Please note; The Jute bag colour may vary. Bug Off Soap; Sodium olivate, Aqua, Sodium cocoate, Sodium beeswaxate, Theobroma cacao (cocoa) seed butter, Lemongrass oil (Cymbopogon schoenanthus)*, Citronella oil (Cymbopogon nardus)*, Styrax benzoin resin extract*, Tea tree oil (Melaleaca alternifolia)*, colour (Chromium oxide, CI77289). *Naturally occurring in essential oils; Benzyl cinnamate, Benzyl benzoate, Citral, Citronellol, Eungenol, Geraniol, Farnesol, Linalool, Limonene. Body Lotion with Citronella and Lemongrass; Aqua, Aloe barbadensis (Organic leaf) extract, Helianthus annuss (Organic Sunflower) oil, Cocos nucifera (Organic Coconut) oil, Stearic acid, Cetearyl alcohol, Glycerin, PhenoxyethanoI Ethylhexylqlycerin, Cetyl alcohol, Coco glucosides, Hippophae Rhamnoides (Sea Buckthorn Organic Kernel) Extract, Tocoherol (vitamin E), Phytic acid, Sodium hydroxide, Benzyl alcohol, Cymbopogon nardus (Citronella) oil, Melaleuca alternifolia (Tea Tree) oil, Cymbopogon schoenanthus (Lemongrass) oil. Naturally occurring in essential oils; Citral,Eugenol,Geraniol,Farnesol,Linalool,Citronellol,Limonene. Calm Balm; Olea europaea (olive) oil; Mangifera indica (mango butter); Butyrospermum parkii (shea) fruit butter; Calendula officinalis (Calendula oil), Althaea officinalis (Marshmallow root oil), and Symphytum officinale (comfrey) oil, infused in Helianthus annus (sunflower oil); Persea grattissima (avocado) oil; Argania spinosa (Argan) oil; Tocopherol (vitamin E); Arnica montana (Arnica) oil; Lavandula aungustifolia (lavender) flower oil; Pelargonium graveolens (Geranium) oil; Anthemis nobilis (Roman chamomile) oil; Rosa Damanscena (Rose absolute) oil. Naturally occurring in essential oils; Citral, Citronellol, Eugenol, Coumarin, Geranoil, Limonene, Linalool, Farnesol. Bug Off Candle; Soy wax, Citronella essential oil, Lemongrass essential oil, cotton braided wick. naturally occurring in essential oils; Citral, Geraniol, Farnesol, Linalool, Citronellol, Limonene, Eugenol.